Our WHL Academy team is growing! Our mission at WHL Academy is to give our members crucial insight from leading experts in their fields to help them master the recruiting process and play at the college of their dreams. 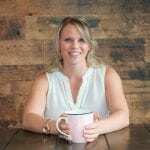 We’re proud to welcome another mindset coach to our team: Barb Egan, founder and owner of Alive Counselling, a counselling service based in Kelowna, BC with a major focus on sports counselling. Barb is a former Ohio State Buckeye (NCAA DI), has a distinguished coaching background, and extensive counselling credentials, including a Master of Arts in Counselling Psychology. As a registered clinical counsellor, Barb believes everyone has a story worth sharing and works to listen to and empower athletes on their mental health journeys. What made you want to be a part of the WHL Academy team? As a former NCAA Division 1 goalie and then NCAA, CIS, and academy coach, I know how stressful the recruiting process can be on players and families. I love that WHL Academy is a reputable support in such an overwhelming but exciting time! What do you hope to provide to WHL Academy members? As someone who has been there as a player and coach, I understand the unique pressures of athletics. Now as a trained mental health and mental performance professional I help players improve their on-ice play and support them in their off-ice livelihoods. I have personally worked with some of the top sports psychologists to help optimize on-ice performance, so I love helping individuals be the best athletes they can be with personalized mental workouts with breathing, visualization, empowered thinking, and goal setting. But as a registered clinical counsellor, I see everything and anything. So, I also love empowering individuals in their mental health to overcome anxieties, stress, negative self talk, and confidence to reach their full potential. Why do you feel mindset is important for girls striving to reach their college hockey dreams? Mindset is crucial to success in hockey and in life. It is not always the situation, but our unique perception of it that determines how we think, feel, and act. There is so much going on developmentally in adolescent girls. As humans we have on average 60,000 plus thoughts per day. As teenage girls we could probably double this haha. And the majority of thoughts are actually negative; they are called “automatic negative thoughts.” In psychology, we don’t have a term for “automatic” positive thoughts. But the good news is that we train our brain to shift its perspective to be more positive. And again, it’s our perspective on a situation rather than the situation itself. So I love to educate, equip, and empower people to change their perspectives and negative thought patterns into more positive, balances ones in order to impact their lives as hockey players and people. Who doesn’t want to think, feel, and live more positively?! What are some of the tools you use to help girls reach their college hockey dreams? I work with each athlete to create personalized goal setting plans and a personalized mental workout of sports psychology strategies (breathing, visualization, empowered thinking, performance statements, etc) to improve their on ice performances. But as a registered clinical counsellor with a Master’s in Counselling Psychology, I am also trained and use evidence-based practices to help overcome depression, anxiety, stress, negative self talk, and many other obstacles to truly thrive and live on purpose. As someone who has been there as a player and coach, my passion is to meet you where you’re at and educate, equip, and empower you to live your best life. Want to play college hockey? At WHL Academy, we have a proven system to help you take control of your college recruiting process through important tools, mindset training, scholarships, and more!